When it comes time to put the roof on your project, there are some things you should look for before selecting your industrial or commercial roofing contractor. There are also some things you should avoid and be wary of in a potential contractor as well. When you follow this list of tips, you will be better prepared to make a decision you will be comfortable with and confident in. Learn about the contractor before you decide to give your business to them. Look at pictures of their previous work to get a better understanding of what they’re capable of and what the finished roof installation may look like. Speak with them about jobs they have recently completed, and if possible, contact current and former clients of theirs to get a firsthand view of what it was like to work with them. This way, you can also get an understanding of how the client feels about the finished product. 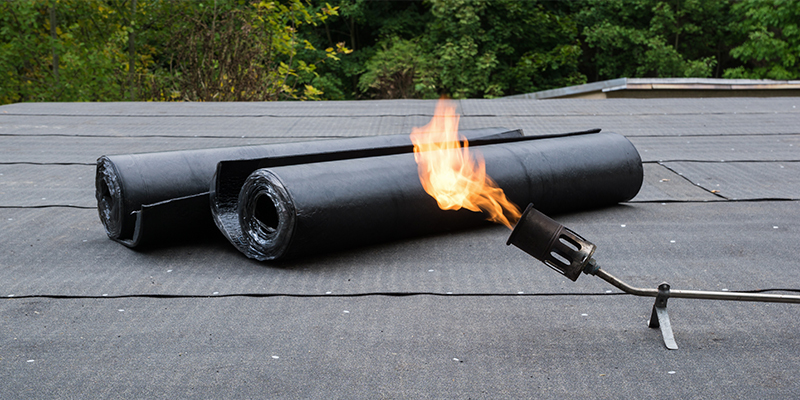 While you might have an imminent problem like a leak, or just want to start your project right away, know that most contracting companies won’t be able to start any major job or roof repair immediately. Professionals will however, be able to help you fix any emergency problem you may be having, and schedule larger repairs for later. You want to avoid any kind of pushiness or high-pressure sales methods the company might be using to try to sell you on their business. A professional contracting company is here to provide you with education and information, so you have everything you need to make knowledgeable decisions. You don’t have to go with the first contractor you come across. Take the time to go through each one to ensure that you have found one that will best suit your needs and meet your expectations. 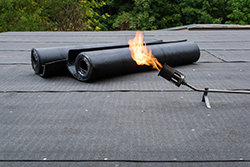 When selecting a Toronto commercial roofing company, you are going to want to make sure that the company is certified. In Ontario, you would be looking for membership in the Ontario Industrial Roofing Contractors Association (OIRCA) and/or the Canadian Roofing Contractors Association (CRCA). Get everything that is agreed upon in writing. This includes what work is to be done, how long it will take, and the price. On the contract, be sure to include the name, address, business license, email, website address, and phone number of the company you are dealing with. For safety reasons, also ask for proof of up to date coverage with WSIB. A good and professional contractor will have great communication skills. Not only will they keep in contact with you when you want them to, but they will be able to explain everything to you as you go through the process of the installation. This way, you will have a thorough understanding of what is happening with your project, and can have any of your questions addressed promptly. Your contractor should provide you with a guarantee of both their materials and their labour in writing. If they don’t or refuse, perhaps consider looking around for another contractor. A business is only as good as their staff. Ask your contractor about the frequency in which their employees are trained on materials and products, and how often they go through safety training. You want to know that the best employees are on the job, and the highest quality will often be the most well trained. Find out how long the company has been around. If possible, see if you can get information about how much experience the contractors themselves have if it is more than the length of time the business has been around. The workers will bring this experience to your job, and the more experienced they are, the more knowledge they have and can apply to your project. Also, you have a better sense of security with a more established company as you know they will be around in the coming years if you need them for repairs or warranty issues.